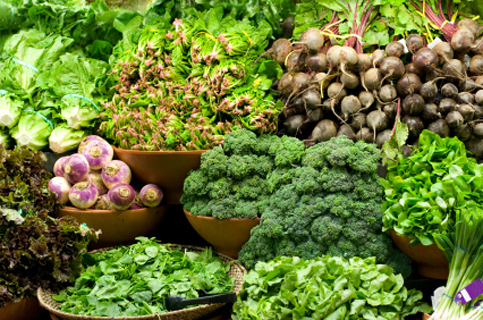 All B vitamins help the body convert food (carbohydrates) into fuel (glucose), which is used to produce energy . Folic acid plays an important role in brain developement and is especially important in the stages of rapid growth, such as pregnancy, infancy and adolescence. . Folic acid helps the body make and maintain new healthy cells . It is also necessary for synthesis of DNA and for preventing changes to DNA. It is therefore not surprising that it is used in the treatment of cancer and autoimmune diseases . The goal of meta-analysis of randomized trials by Dr. Robert Clarke  was to determine the size of reduction in homocysteine (seem to be associated with higher risks of vascular disease) concentrations produced by dietary supplementation with folic acid and with vitamins B12 or B6. Results showed that supplementation with both 0.5-5 mg folic acid and about 0.5 mg vitamin B-12 would be expected to reduce blood homocysteine concentrations by about a quarter to a third. A study conducted on 728 older men and women concluded that folic acid supplementation slowed the progression of age-related hearing loss . Pic 1. 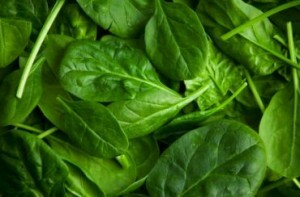 – Green leafy vegetables are a good source of folic acid. Alcohol consumption accelerates folate deficiency . Sufficient amounts of folic acid are especially important for pregnant woman since its deficiency can cause major birth defects . Pregnant women should get 600 mcg of folic acid per day . Folic acid may also help prevent miscarriage, although the evidence isn’t clear . Article posted on Centers for Disease Control and Prevention urges women to start supplementing with 400 mcg of Folic acid one month prior getting pregnant . Kamen, Barton. “Folate and antifolate pharmacology.” Seminars in oncology. Vol. 24. No. 5 Suppl 18. 1997. Homocysteine Lowering Trialists’ Collaboration. “Lowering blood homocysteine with folic acid based supplements: meta-analysis of randomised trials.” BMJ: British Medical Journal 316.7135 (1998): 894. Durga, Jane, et al. “Effects of Folic Acid Supplementation on Hearing in Older AdultsA Randomized, Controlled Trial.” Annals of internal medicine 146.1 (2007): 1-9. Diaz, V. H. US Patent 20080020071, Jan 24, 2008.